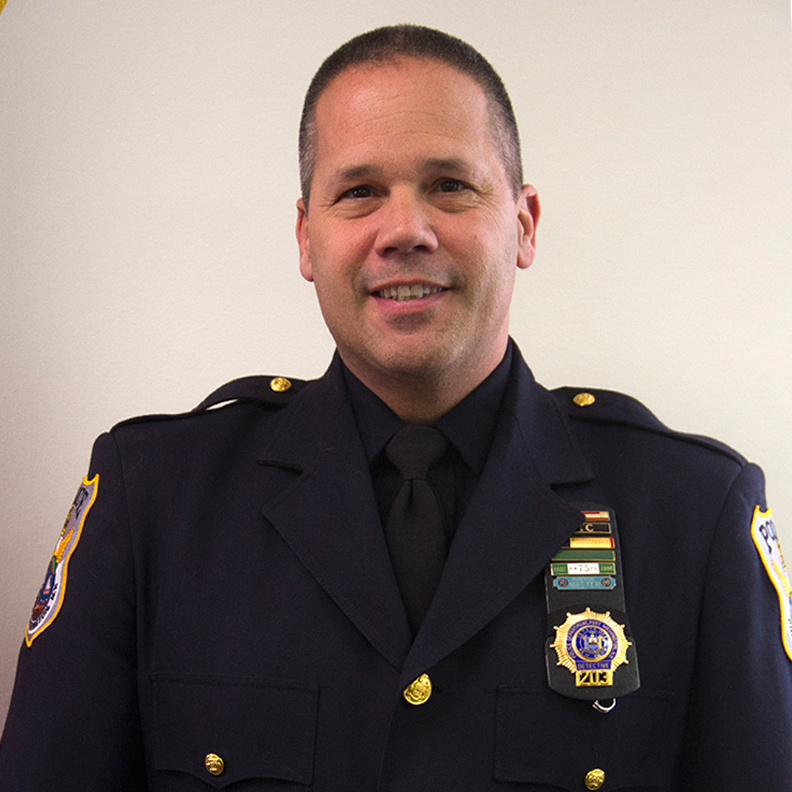 Anthony Guzzello joined the Port Washington Police District in June 1989 as a police officer and was assigned to the patrol division. In September of 1996 he was designated School Resource Officer for the district presenting safety programs in the schools and working with the youth of the community. Additionally Officer Guzzello serves on the Board of the PW Chamber of Commerce and the Port Washington Teen Center as well as the Pride in Port and Harborfest Committees. In February of 2007 he became a Detective and continues to serve the Police District focusing on youth and community safety.